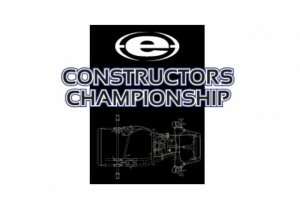 The 2018 eKartingNews.com Constructors Championship final standings have been tabulated. A busy season of US karting has been completed as we now look to turn the page on the 2018 calendar. A total of 39 events were selected to be part of the EKN CC program this year, including the major national and regional events from coast-to-coast. In total, 41 different chassis brands scored points throughout the season and, for an eighth straight year, Tony Kart accumulated the highest point total. Tony Kart scored points in 34 of the 39 events in the 2018 EKN Constructors Championship. At 18 of those, Tony Kart had the highest total of the event. When you break it down by championships, Tony Kart had the highest total at SKUSA Winter Series, Florida Winter Tour, Challenge of the Americas, Texas ProKart Challenge, United States Pro Kart Series, ROK Cup USA and the final event of 2018 – the SKUSA SuperNationals 22. OTK actually grabbed the top two positions as Kosmic slotted into the second spot for 2018. The majority of the Kosmic points came through the SKUSA Pro Tour, thanks in part to Rolison Performance Group. The race team claimed multiple wins and podium finishes throughout the year, including the S2 Semi-Pro Stock Honda championship with Brazilian Pedro Lopes. Kosmic matched Tony Kart in not scoring points in only five of the events in 2018. The success of FA Kart drivers put three OTK brands inside the top-five, as FA ended the year in fourth. A number of privateers and race teams – including many under the Comet Kart Sales banner – competed aboard the FA Kart brand. Completing the podium and breaking up the OTK group at the top is Birel ART. Some big wins and titles went to the brand in 2018, thanks in part to EKN TaG Driver Rankings powered by Bell Racing USA #1 Ryan Norberg. A third-straight SKUSA Pro Tour title for Norberg, along with his FWT championship, helped to propel Birel ART into the top-five. Rounding out the top-five in its debut season is Kart Republic. This chassis took the world by storm after launching at the SuperNationals in 2017. KartSport North America has put the chassis on the map here in the United States, thanks in part to the success of Brandon Jarsocrak. ‘Money’ won at the SKUSA Winter Series, WKA Manufacturers Cup Series, SKUSA Pro Tour and the USPKS in 2018, earning a second-straight Pro IAME title. The brand also won a SKUSA Pro Tour title with Carson Morgan in the Mini Swift division. CRG Nordam’s focused efforts helped to improve the CRG position from 2017, jumping up from ninth to sixth. The brand scored triple-digits in SKUSA Pro Tour competition, earning multiple wins and podiums throughout the season with drivers like Kyle Wick, Max Hewitt, Brenden Baker, Rob Logan, Robert Marks and more. One of the brands to outscore Tony Kart in a series was Aluminos. The NorCal-based program advanced from outside the top-10 in 2017 to finish seventh in 2018. Aluminos scored the highest total for the California ProKart Challenge, thanks in part to the victories earned by series champions Billy Musgrave and John Crow, along with the many others who stood on the podium throughout the season. Aluminos now has three SuperNationals victories after Musgrave repeated in the Pro Shifter division in November. Benik nearly broke into the top-five last year and finishes 2018 in eighth as the top ‘Cadet-only’ chassis. Their drop down the standings is likely due to the improved numbers gained in 2018 by the other ‘Cadet-only’ chassis in the standings – Nitro Kart. The Nick Tucker-run program finished 14th overall on the season, earning a number of major victories and titles in 2018. If you combine the two brands’ totals for the season in just Cadet racing, that would list them third overall on the season. For a third straight year, CompKart ends the EKN Constructors Championship in the top-10. Over half the points earned by the brand came via the SKUSA Pro Tour. Brazilian Leonardo Nienkotter earned a Pro Tour championship for CompKart and Dante Yu earned the SKUSA #3 plate for 2019 in X30 Senior. Rounding out the top-10 is Top Kart, whose points were loaded in the WKA Manufacturers Cup Series program. Kaden Wharff alone won 10 times, nine in Yamaha, while Connor and Tyler Ferris helped grab points throughout the season as well. Other notable totals on the year include Parolin grabbing the third highest point total at the SuperNationals to put them into 11th for 2018. VemmeKart racked up the second highest total from Challenge of the Americas off the championships of Erik Jackson and Chase Gardner. Margay led the ‘Other’ category thanks to the results from the Rock Island Grand Prix. The EKN Constructors Championship calculation process includes the top-five finishers in each recognized class (Senior-Master-Junior-Cadet classes). The SKUSA SuperNationals will earn points with the following structure; 1st=20 points, 2nd=16 points, 3rd=12 points, 4th=8 points, 5th=4 points. The SKUSA Pro Tour will earn points with the following structure; 1st=10 points, 2nd=8 points, 3rd=6 points, 4th=4 points, 5th=2 points. The remaining events will continue to be awarded with the previous ranking system; with first place earning five (5) points down to fifth place earning one (1) point for each category. There is a minimum of 10 starting entries required for the class points to be counted toward the season total in the EKN CC standings.